Happy Friday friends! Today I'm sharing with you a wreath that I made using the Witches' Brew DSP! 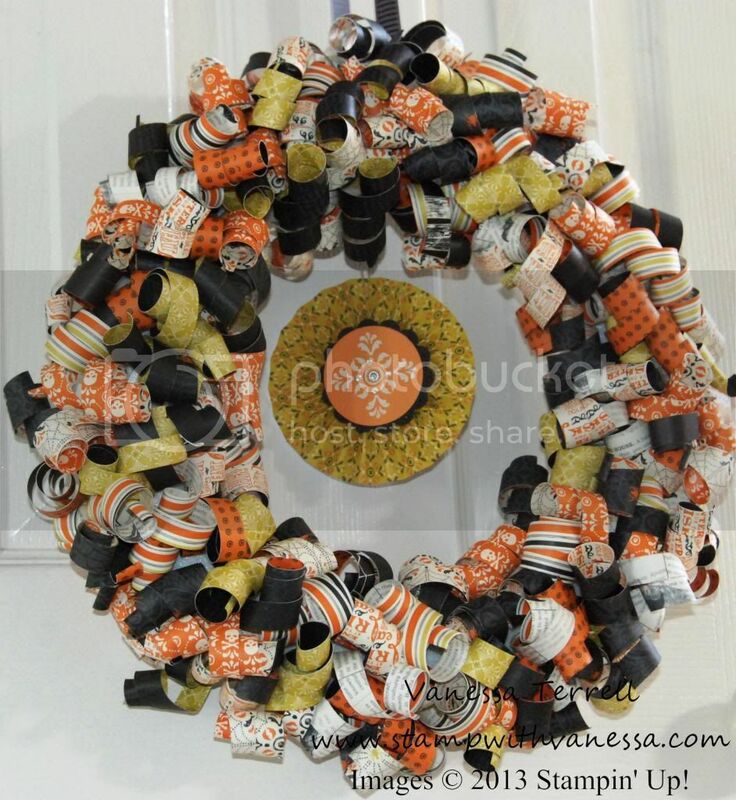 I had so much fun putting this wreath together! I didn't come up with this idea I'm not sure where the original idea came from, but I saw the idea on Pinterest! I just wish I would have known about this idea years ago...I could have used up DSP that I had stashed! Supplies for the wreath were pretty basic...styrofoam wreath, straight pins, DSP and whatever else you would like to decorate your wreath. I also used pieces from the Halloween Banner Simply Created Accessory Kit. 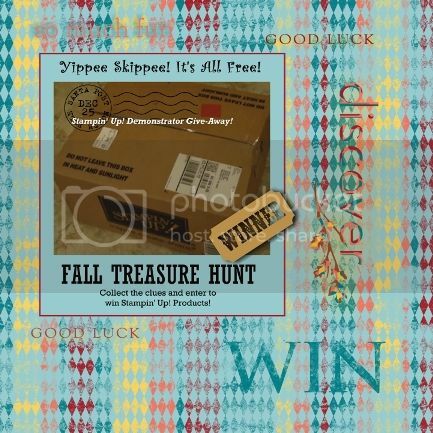 Be sure and check out the Late Night Stampers Fall Treasure Hunt! 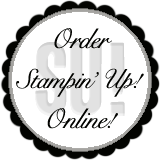 Click on the the link below for the details!